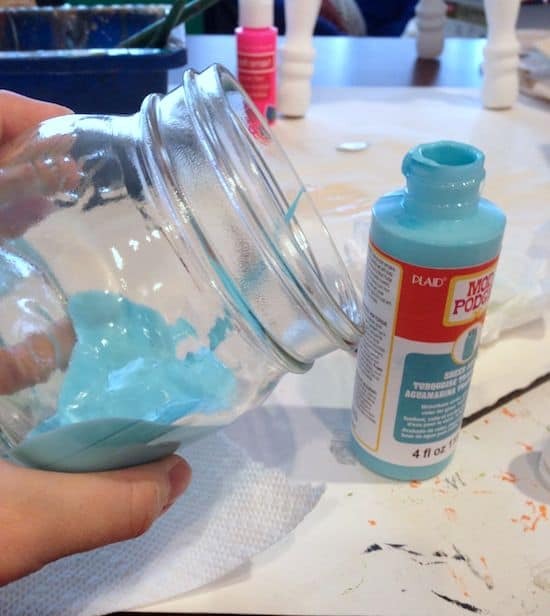 Learn how to make colored jars with Mod Podge! 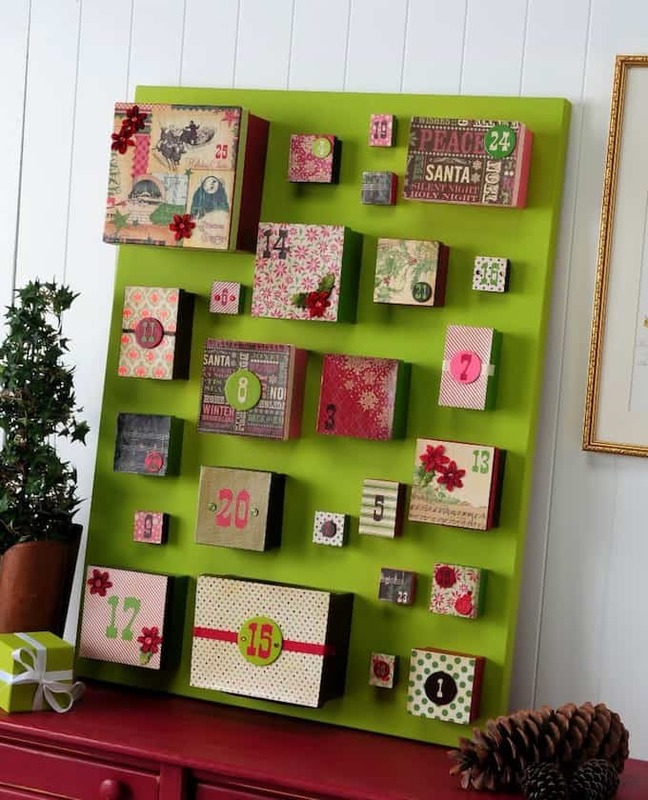 This is such an easy craft idea – you don't need experience to do it. I'm kind of loving these new Mod Podge Sheer Colors. Have you heard of them? 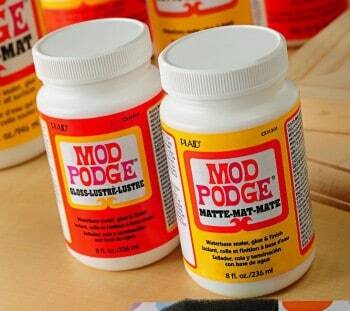 You can easily dye glass with Mod Podge that has the color already built in. Woot! I wanted to try making some Mod Podge mason jars for storage with these pint sized (mini) mason jars I found at Jo-Ann. I coupled the Sheer Colors with my peel n' stick stencils (the keys) and some baker's twine – done and done. You can have cute storage in minutes. 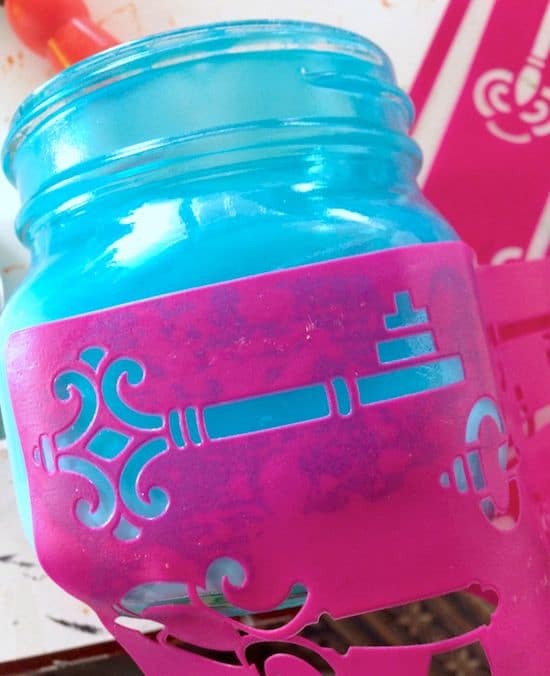 Here's how I easily decorated the Mod Podge mason jars above. Start by washing your mason jars with mild soap to clean them, and then let dry. Trust me on this one. I didn't wash a jar and added the Sheer Colors, and it didn't cling as well (my bad). 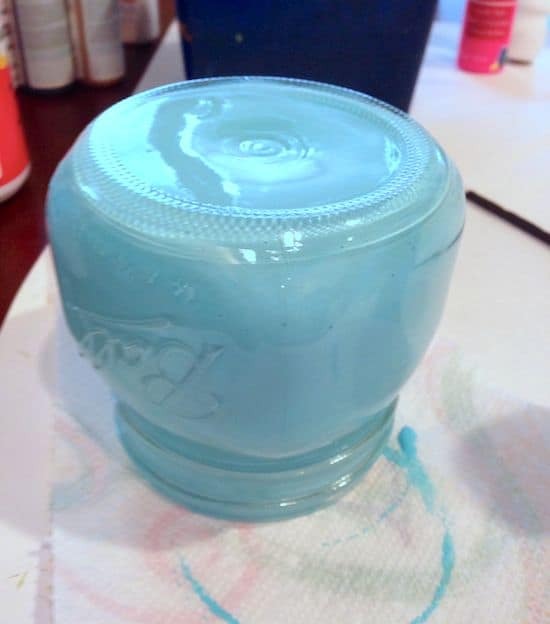 Start by adding about two tablespoons of the Sheer Color of your choice into a jar and rolling it around to coat. This can take several minutes. If you find that you need to add more, add about one tablespoon at a time and continue rolling the jar around until the entire inside is coated. Tip: shaking the jar over a trash bin can help remove excess Mod Podge and also help coat the inside. 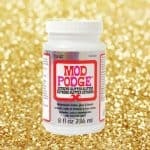 Just be sure you don't shake too hard and explode the Mod Podge everywhere (um, haha). Repeat with the remaining jars. When you are done coating them all, place them face down on a paper towel for several hours to let the excess Mod Podge drain out. When the jars have completely drained, turn them right side up to let the jars dry completely – this will take overnight. I kept moving the jars around on the paper towel as well, just to make sure they didn't stick. 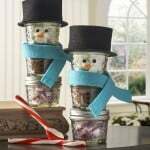 Choose your design to place on the fronts of the mason jars. I put a different key on the front of each jar. 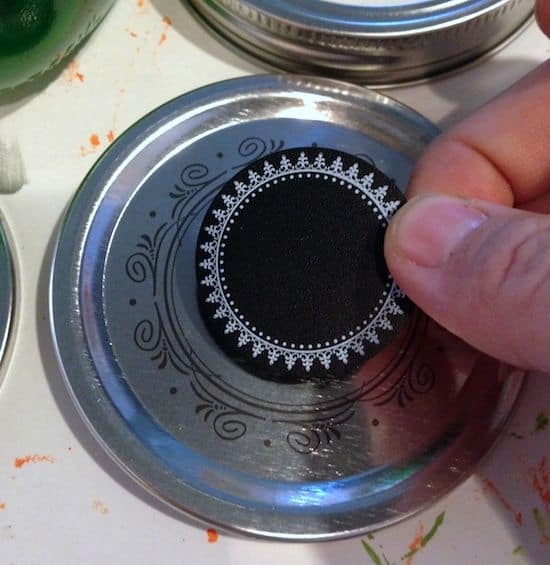 Carefully peel the stencil from the backer sheet and smooth down flat on the jar surface, making sure to center your design. 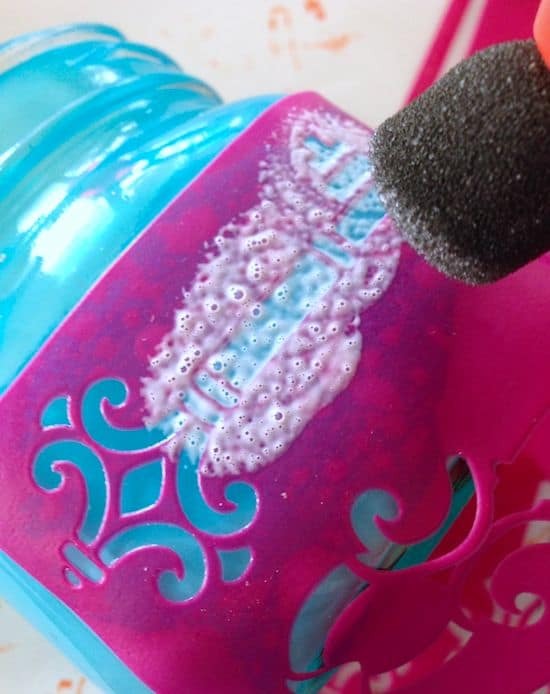 Use the spouncer to add Mod Podge to the stencil. 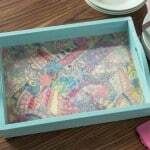 Use a medium layer of Mod Podge and work quickly, since Mod Podge dries quickly. Completely cover the key. Peel up the stencil and pour the glitter on top right away. 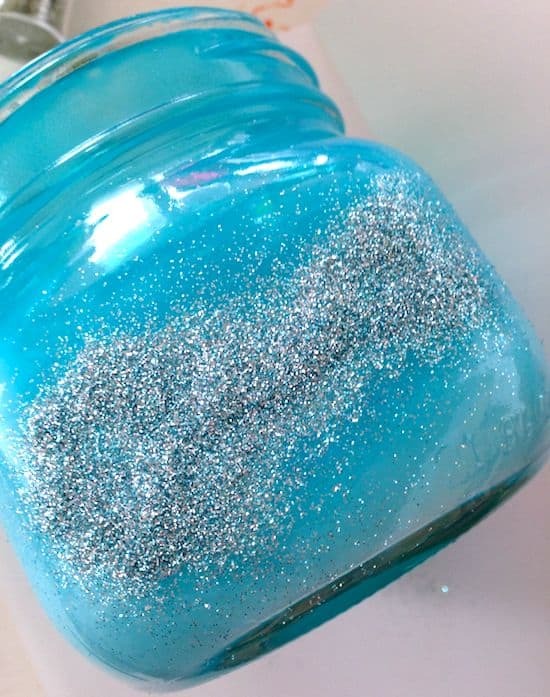 Tip: pour the glitter onto the jar over a piece of paper so that you can pour the excess back into the original container. Repeat with all the jars, then let dry. Remove excess glitter using the paintbrush (lightly brush it away). Replace the lids on your jars and cut baker’s twine to wrap around each lid. Tie in a bow. 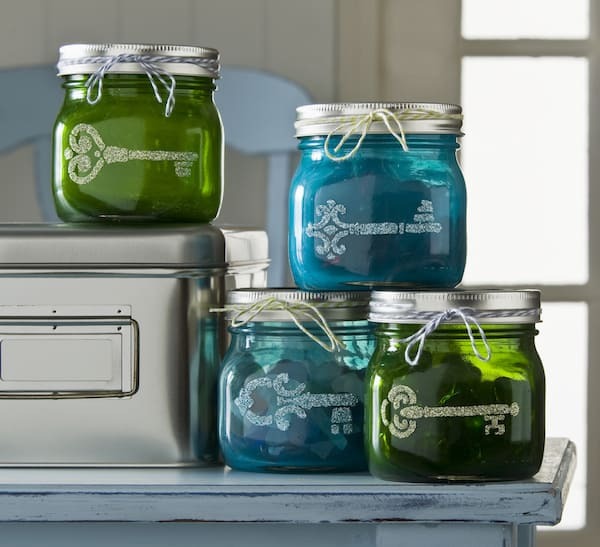 Place a chalkboard circle on top of each jar in the center so that you can write the contents on the lid. 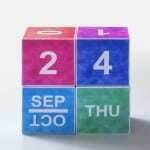 Can you believe these stickers? I love them. 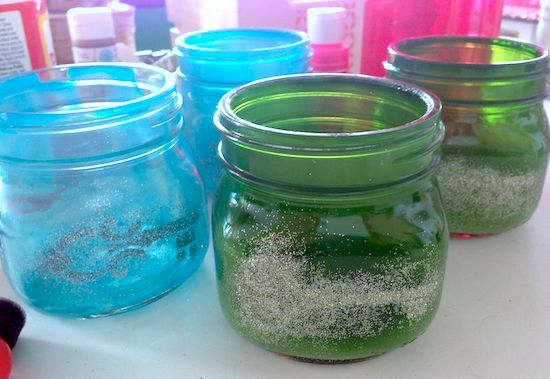 If you exclude dry time, these Mod Podge mason jars took just a few minutes to decorate. I love them and I want a whole rainbow! 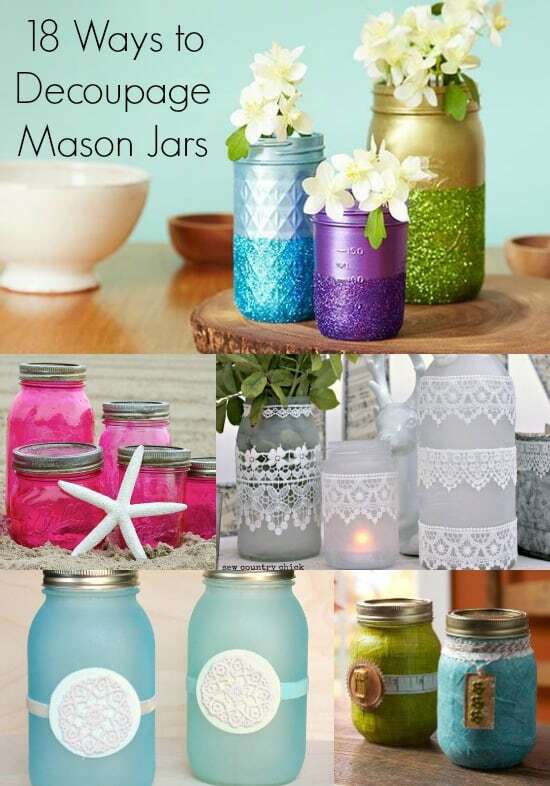 Looking for more Mod Podge mason jar crafts? Click on the image below! Did I miss something??? Where does the mod podge gloss come in to this project? Thank you, I love your blog, and I totally love this project! Hi Julia! I used that with my stencils to attach the glitter! Being new to Mod Podge, I’m guessing you cannot put anything eatable in the jars after coating the insides with MP, right? Love your project & can’t wait to try it! Hi Dee! Correct. If you want to do that, you can coat the outsides in a similar fashion. Though you wouldn’t swirl it around – you’d drip it down the sides. OR you can brush it on! Is it durable? If you put something inside would the color chip off?